Now that we have launched this new Gaijin-Eyes site we are planning to start adding new tutorials as soon as possible. One of those being planned is an updated version of our Boris RED/Avid FX Text and Text Effects collection. The new collection will replace the current one. It will, for the most, cover the same basic points. However they will be presented in a slightly different way. Also, there will be information specific to EDIUS and Avid Media Composer. In the meantime the original collection is still available – now at a considerably reduced price! Most of them were done for Avid FX users working in Avid Media Composer.However the actual Text manipulations shown in them can be equally well applied in Boris RED, as it is essentially the same application. 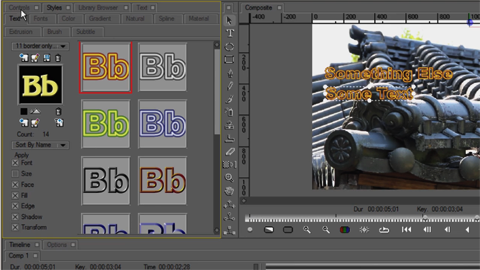 When Boris RED is used together with other NLEs than Avid Media Composer (e.g. EDIUS), there may be some differences in the actual set-up of the track to which the effects will be added in the other NLE, before launching Boris RED. But here, again, there should be no differences in the actual workflow inside of Boris RED itself, once the application has been launched. Almost 2 hours of tutorials covering a wide range of essential information to help you get into the Text capabilities inside of Boris RED/ Avid FX. 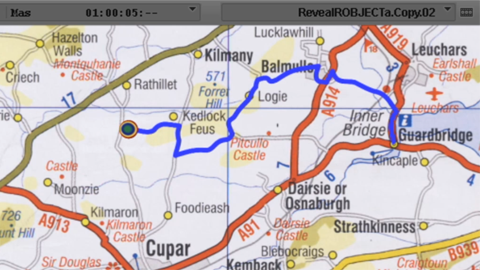 As with the TEXT collection above we are also going to update the ROUTE MAP collection. In this collection of 7 tutorials I look at 2 different approaches in using Boris RED/Avid FX to make your own customised route maps for use on your timeline. The whole series covers many aspects of the Boris RED tools. Adding an EPS Graphic, etc.